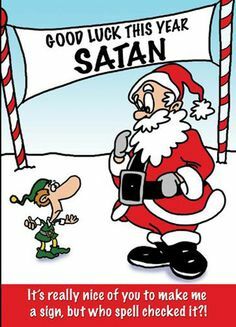 Don’t make your Christmas Gift list out to Satan! You probably won’t end up with anything you like, and it definitely won’t be better than coal. Happy Holidays to everyone!